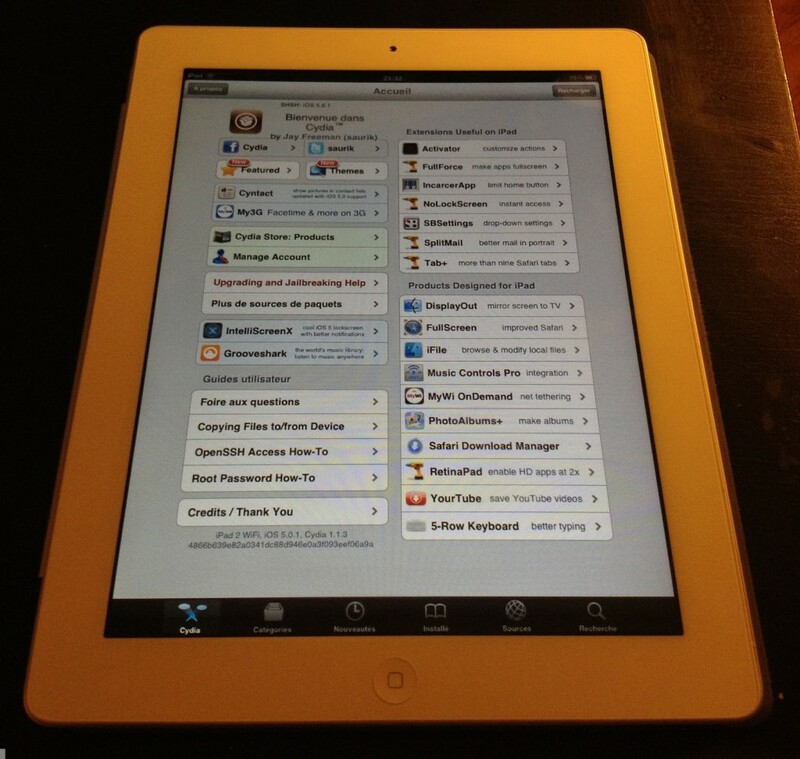 A couple of days ago, Pod2g showed us the video of a jailbroken iPhone 4S, and now we have an image of the iPad 2 successfully jailbroken on iOS 5.0.1. This photo of the iPad 2 jailbroken and the video of the iPhone 4S jailbroken can be taken as a tease; a way to keep us up to date with Pod2g’s progress leading up to the release. Pod2g had the post with the image of the jailbroken iPad 2 up on his blog for an hour or so until it was pulled from the site. We still have the image from his blog (as shown above) but Pod2g is not commenting on the situation just yet. Due to nothing being explained about the whole situation, we have nothing better to do than assume what happened behind the scenes. The first assumption I would make is that Pod2g spoke to soon and does not want to promote the iPad 2 jailbreak until it is completely ready, other iOS hackers (such as MuscleNerd) may have played a part in this by asking Pod2g to remove it for now. The second assumption would be that Pod2g pulled the post to update it with more information, including a video preview. Of coarse everything is all speculation for now but keep checking back, as we will keep you up to date with the A5 jailbreak and it’s progress.